A woman fainting at a railway station in Morocco, while waiting for the train that would take her three hours away for dialysis treatment, was the eureka moment for one of the Maghreb’s new health entrepreneurs. The North African region has its own unique problems when it comes to healthcare, such as Morocco’s nationwide lack of facilities. Since 2011 entrepreneurs have seen the opportunity. 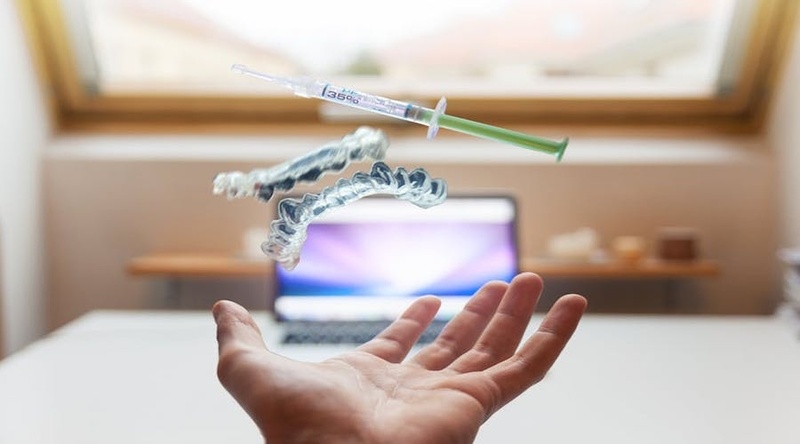 Healthcare startups in the region have covered online platforms such as Dabadoc, or the development of new medications such as researcher Adnane Remmal. According to the MENA’s Health Startups report by the Wamda Research Lab in 2016, the wider region has a growing health entrepreneurship movement, as the widening ICT presence and lifestyle health crises create the need and opportunity to use advanced digital healthcare solutions. Most MENA startups were focused on more transparency for patients, and mobile and connected health solutions. A McKinsey report in 2015 noted that Tunisia, Morocco, Algeria and Egypt represented 70 percent of the pharmaceuticals market in Africa. The Economist Intelligence Unit in 2011 said Tunisia was leading health innovation in the Maghreb, thanks to good indicators such as qualified specialists, strong public and private hospitals, and a high level of services and developed healthcare infrastructure. At the time, 90 percent of Tunisians had access to health insurance. But the country suffers, like its neighbors, from deficient distribution of health services. Where Sub-Saharan and South African countries have already adopted telemedicine, it’s an industry that is yet to take off in technology-forward UAE, let alone North Africa. Yet we’ve found four startups from across the Maghreb which are finding ways to make healthcare more accessible to all. 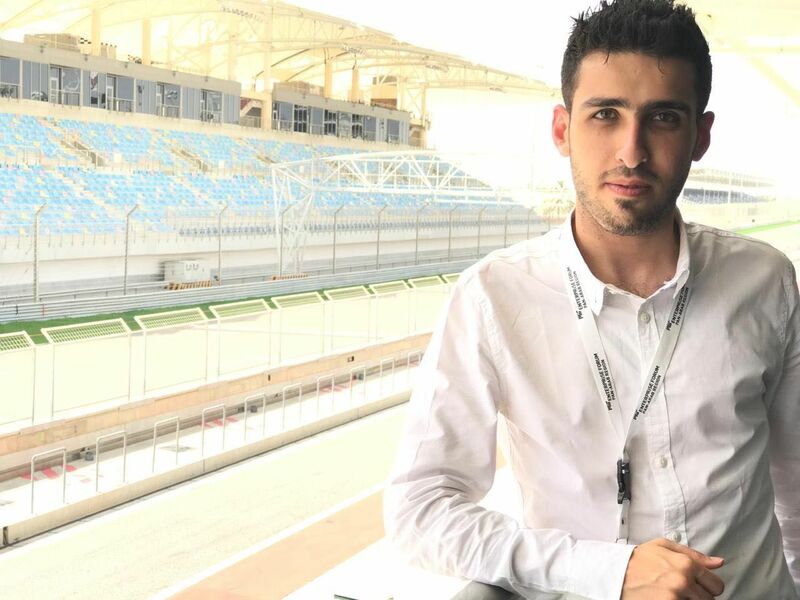 Moroccan Anas El-Hilal was the entrepreneur who watched the woman faint at the train station. “She was going to a city three hours away from her home to get her dialysis treatment [but] she could not physically [make the journey],” he said. So he developed a map of medical facilities in Morocco and created a business out of sending medical trucks to all of the places where there were none. Although based in France, Medtrucks and its product Medmapping services his home country. The idea - to bring the doctors to their patients, not the reverse - was simple but hard to implement in a country like Morocco, which faces the scary problem of medical desertification where large parts of the country have no medical facilities. In Tunisia and Morocco, most doctors do not open a practice outside big cities, and tend to flee abroad rather than work in bad conditions. “I drew a collaborative map which would put together both the medical facilities and the patient’s needs. Then it is easy to dispatch medical trucks with doctors who know where to go and for what need, like a sort of Blablacar but for doctors,” El-Hilal said. His main goal is to make Morocco digitalize the healthcare systems so he can access more data and improve the platform. He has studied the needs of more than 700 patients and is adding a device to track the different diseases in each region. He is supported by French banks and the business was incubated at Espace Bidaya in Casablanca. The three founders of Moroccan app Sutures wanted to ‘gamify’ anatomy in 2016. Three of the founders are surgeons who found explaining anatomy to their patients via drawings or scribbled patterns time consuming. 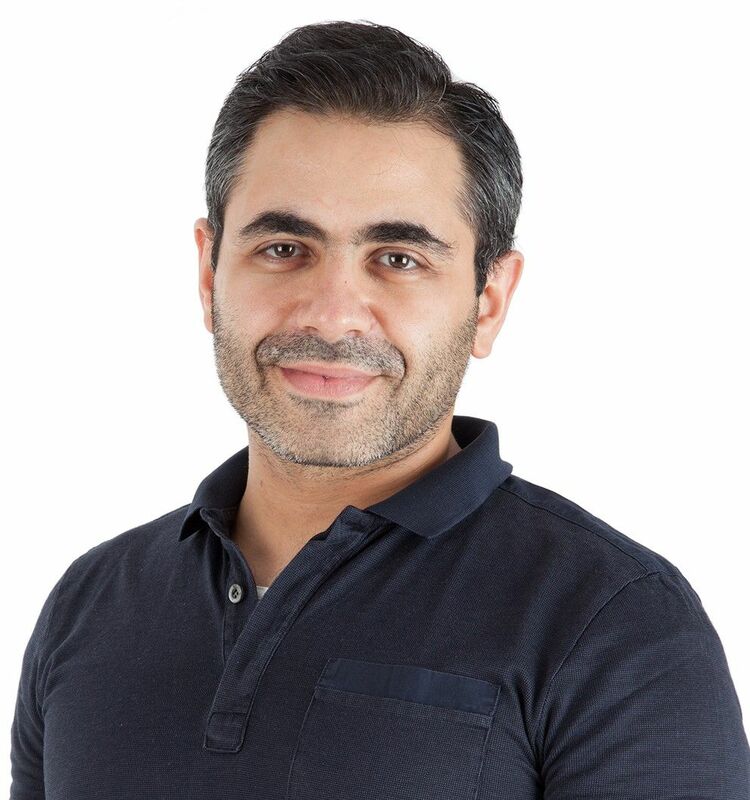 “We just decided to do this through an app with the main organs of the body so they could see what we are going to do,” said Amine Benkabbou, one of the founders, to relieve the patient from being overwhelmed with medical information they do not understand. The surgeons launched the beta version of the app after a stint in Techverse, an incubator and coworking space that helped them make their idea into a product with the help of the Medverse program. They are launching the first prototype in April and have self-financed the project. Their market is surgeons, for whom they’re considering offering the app on a freemium model. Mohamed Dhaouafi came up with the idea of a made-in-Tunisia prosthesis when a cousin of one of his colleague was born with no upper arms. Dhaouafi, who was studying engineering, wondered if he could create a cheap prosthesis for limbs and made a team with other students. 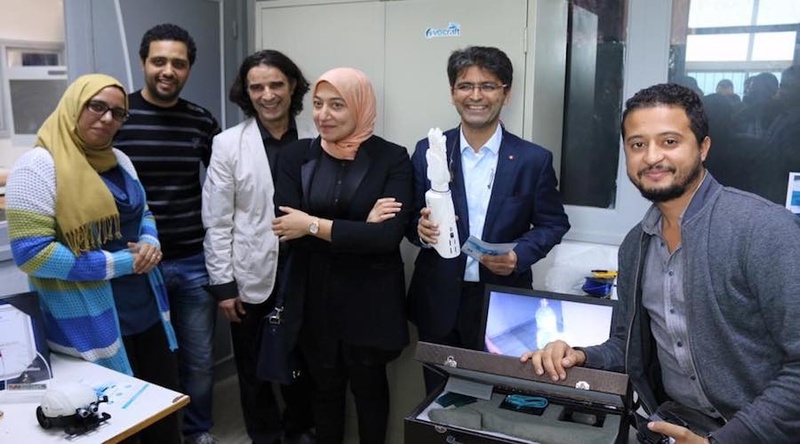 The idea started with the Tunisia entrepreneurship challenge in 2016, where it won first prize for a prototype of a hand which was mechanically articulated. After a stint at MEPI, an American exchange program in Tunisia, to understand better how to build one’s startup, the nine person team developed a myoelectric hand that they presented to Startup Sauna challenge this year. “You can recycle our prosthesis, you can customize it, our aim is to make it cheaper than the imported ones, not only for Tunisia but also for Morocco where there is a high demand,” he said. Olfa Safraou, 30, a former medical secretary, met a friend’s autistic child four years ago. “His eyes were staring into space and he could not even play with my son. I felt bad and I wonder what I could do,” she told Wamda. After some research, she discovered (with her nutritionist background) that people often underestimated the importance of the effects of some food on autistic children. “I decided to create a center where autistic kids could come and play and also share a snack with some gluten-free food for instance because it can have some impact on their behavior,” she said, even if worldwide scientific research had not proven this for a fact yet. “It had an effect on my friend’s son and I believe since in Tunisia we eat too much wheat and gluten, it can really change things,” Safraou said, arguing that one newborn out of 80 was autistic in Tunisia. “The center is not only about finding a place for those kids to be able to blossom which they can’t in usual schools, I aim at making it a startup that could have a lab to research more on the issue of how to help them with food,” she added. After starting her project on her own one year ago, she now has received a $7,000 fund from Minbar Mena program during a challenge in Tunisia.